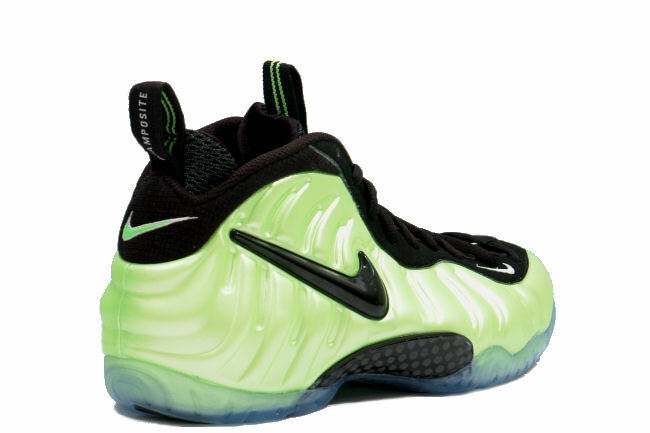 The Nike Air Foamposite Pro “Electric Green” released on March 5th, 2011 and retailed for $190 USD. This vibrant colored Nike Air Foamposite Pro is dressed in an Electric Green, Black, and White color scheme. The shoe is highlighted with the eye-catching Electric Green Foamposite shell, with matching accents on the Nike Swoosh near the toe, collar, tongue stripe and heel and tongue pull loops. Other details included a glossy Black Nike Swoosh logo overlay the Foamposite shell, as well as your standard mock carbon shank. The shoe was completed with an icy translucent outsole. With Nike Sportswear set to bring back a few classic Nike Air Foamposite Pro colorways in 2016, should they consider bringing the “Electric Green” edition back too? Let us know what you guys think in the comments section. Where do these rank amongst your all-time favorite Nike Air Foamposite Pro releases?